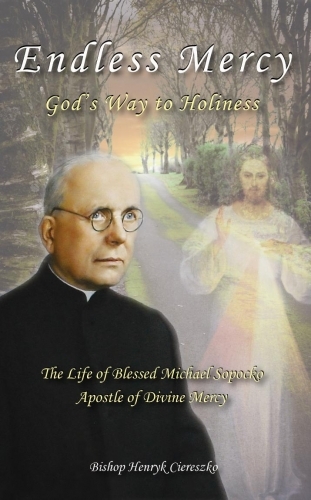 A new, exceptional book following the life of Blessed Michael Sopocko starting from his humble beginnings, through the rich history of his priestly life, to reaching a culmination of Christian perfection. A new, exceptional book following the life of Blessed Michael Sopocko starting from his humble beginnings, through the rich history of his priestly life, to reaching a culmination of Christian perfection. From the many quotes from his Memoirs and his extraordinary personal Diary, we catch a glimpse of the wonderful spirit of the man that was Fr. Michael Sopocko. There are also the memories of many people who knew him personally. They all bring to light new and essential facts about Divine Mercy and Fr. Sopocko - the man who was chosen by God to convince the world of a Devotion so essential for life in the world we live in.